ODM leader Raila Odinga pinned down a day after his Deputy Hassan Joho denied chance on National events. - Bana Kenya News, Real African Network Tubanane. Home Mombasa News ODM leader Raila Odinga pinned down a day after his Deputy Hassan Joho denied chance on National events. ODM leader Raila Odinga pinned down a day after his Deputy Hassan Joho denied chance on National events. NASA flag bearer Raila Odinga was denied a chance to address the people of Nyeri during public day function by President Uhuru Kenyatta and his DP William Ruto. 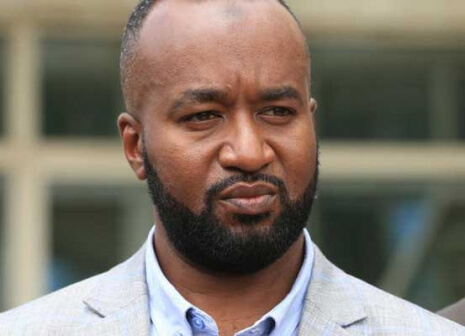 This comes just a day after the deputy ODM leader, Mombasa Governor Hassan Joho was denied a chance to attend the SGR launch in Miritini, Mombasa. The President and his DP has now picked a fight between the opposition as they are closest competitors. The President who has been seen preaching peace and unity, now it shows he meant to preach Hatred and Discrimination. The ODM leader Raila Odinga denied chance in Nyeri Madaraka day event and his deputy Hassan Joho was denied access in SGR launch in Mombasa a day a before,the treatment in both occasions has now seem to take a different stand between the Government and the Opposition.
" The president advisors are always doing it wrong, by denying a chance to address people makes that person more popular because he or she will use that as a method of pinning the event down. He will be depicted in the political picture as a jingoism and an ultranationalist leader. " Says Political analyst Mutahi Ngunyi.